If you’ve always liked the idea of mountaineering, but aren’t so keen on spending weeks scaling the most dangerous slopes in the world, you’ve come to the right place. There are no death zones, no supplementary oxygen requirements, and no need for fixed ropes on these adventures. Despite this, you won’t be missing out on the incredible scenery that comes with time spent amid the world’s mightiest summits. You don’t have to be an elite endurance athlete, just someone who is healthy, in good shape, and has an appetite for adventure. The sweeping vistas of the Annapurna Circuit in Nepal. 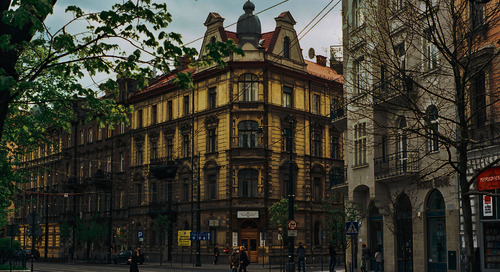 Photo courtesy Richard Lindie, Dreamstime. Don’t be put off by big distances and long days amid the highest mountain range in the world — there is no requirement to complete this whole circuit in a single thru-hike. Trekkers can pick and choose which parts to do, and for how long. No matter how much of the circuit you complete, there are some things you’re guaranteed: Rhododendron forests, remote hilltop hamlets, and the towering Himalayas will always be within touching distance. Additionally, if the hiking ever gets too much, then there are plenty of tea houses along the route where you can stop, sit, and enjoy the view. 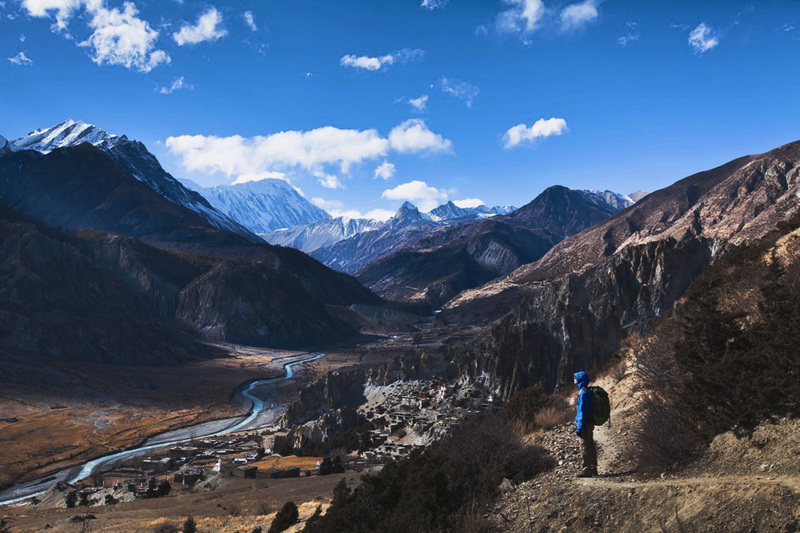 Trek the Annapurna Circuit with G Adventures. The Torres del Paine offers some striking scenery. Photo courtesy Richard Lindie, Dreamstime. Patagonia is home to some of the most unique montane scenery in the world. Towering steeple-like peaks rise from the steppe below, providing almost unimaginable panoramic vistas. The Full Circuit trek takes in the shorter W Trek, which is one of the most celebrated treks in the world. Whether you opt for the full circuit or the W you can’t miss one of the most iconic mountaineering miradors in the world, Las Torres (The Towers). Mesmerizing in shape and form, the three granite pillars dominate the surrounding landscape. 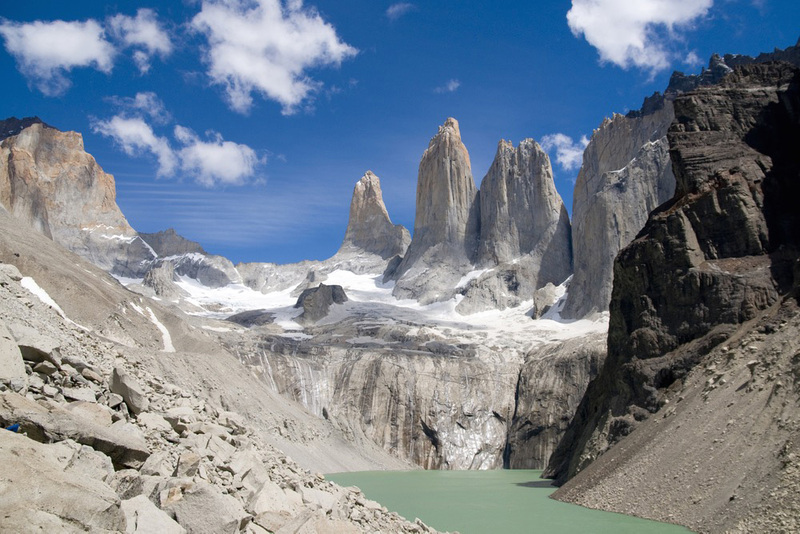 Trek the Torres del Paine Full Circuit with G Adventures. The Huemul Circuit is the longest trail around El Chaltén. Photo courtesy Richard Lindie, Dreamstime. The longest and hardest of the hiking trails around El Chaltén (the trekking capital of Argentina) is the Huemul Circuit. Torres del Paine's “W” circuit is often touted as Patagonia's must-do trek, but Argentina’s Huemul Circuit through a remote pocket of Parque Nacional Los Glaciares is a rising star. Cut from the same cloth as Torres del Paine, the mountains here are every bit as dramatic. 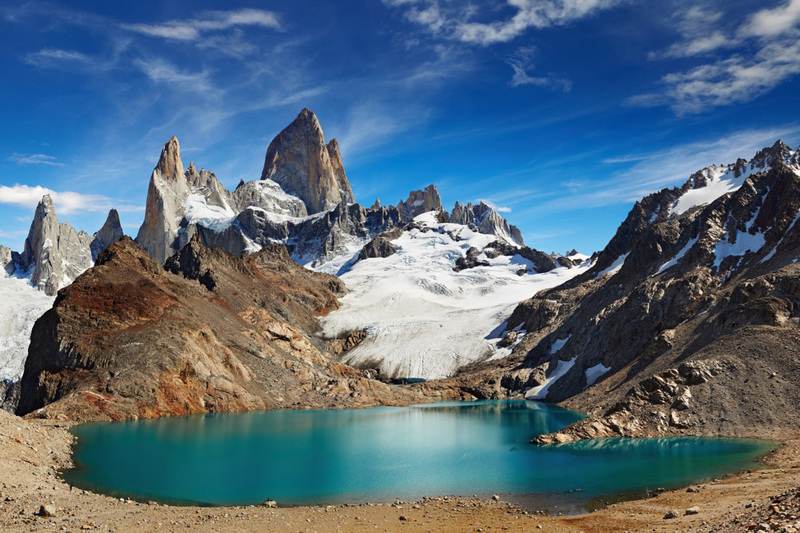 The magnificent towers of Fitz Roy and Cerro Torre steal the show, but the World Heritage-listed Parque Nacional Los Glaciares has much to offer hikers at every level. Condors circle high above the icy Andean spires, emerald green glacial lakes, and windswept Patagonian tundra. The hiking here is among the best in the world. Trek the trails around El Chaltén with G Adventures. Everest Base Camp in Nepal. Photo courtesy Richard Lindie, Dreamstime. 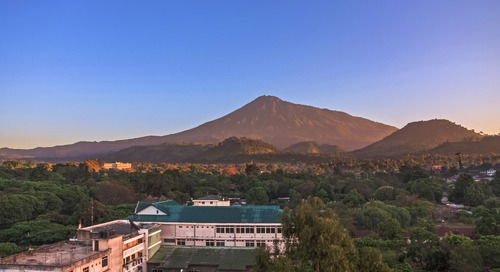 The lure of the most famous mountain on Earth is hard to ignore. Who wouldn’t want to rub shoulders with the best mountaineers in the world in the shadow of the highest mountain in the world? Everest, standing at 8,848m (29,029 ft) high, needs no introduction. Would-be summiteers set out on their 40-day plus siege of the mountain from the Nepalese base camp at 5,364m (17,59 8ft) – 570m (1,870 ft) higher than the summit of Mont Blanc. The trail to base camp starts at Lukla or nearby Namche, and winds its way through the highest mountain range on Earth. Superlatives simply don’t do it justice. This is the land of the giants; the Himalayas at their best, their most stunning, and their most intimidating. 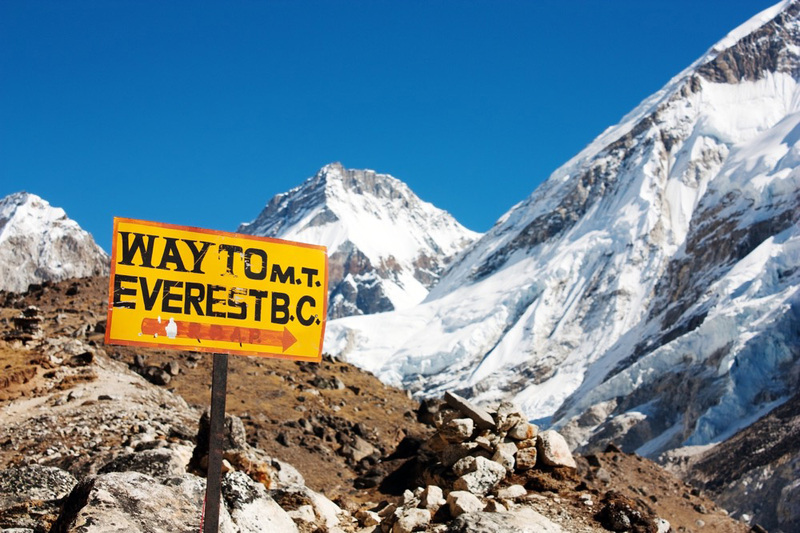 Trek to Everest Base Camp with G Adventures.